College Cost Estimator This is a great tool for financial planners and experts. 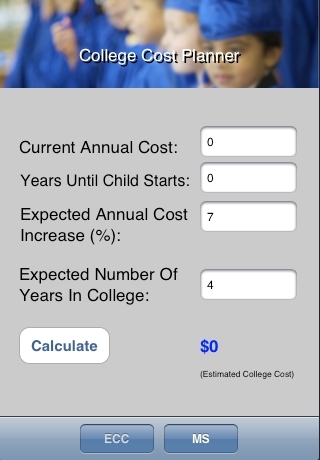 The total estimated cost of college is calculated based on current annual costs, years until child starts, expected increases, and number of years in college. 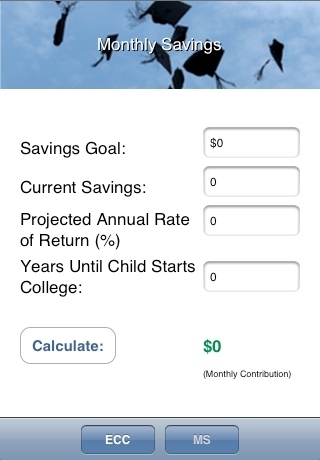 In addition, College Cost Estimator will calculate the minimum monthly contribution in order to meet the savings goal previously calculated (estimated cost of college). Perfect for college planners and investors.